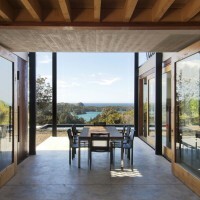 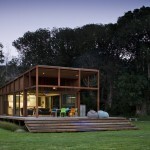 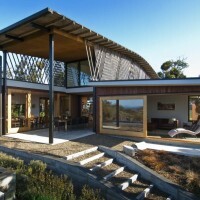 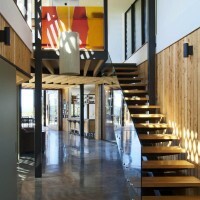 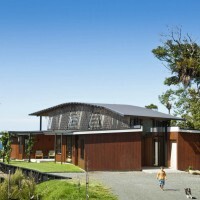 Tennent + Brown Architects designed this house for a family in Ngunguru, New Zealand. 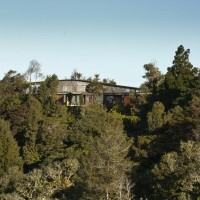 The house for a family with two young boys is sited on a previously leveled hilltop in regenerating Northland bush. 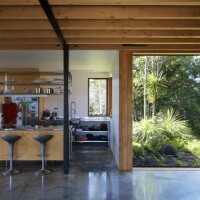 Beautiful narrow coastal views between existing trees generated an idea of the house as a bush camp – a collection of single storey rooms along a central path with outdoor spaces between. 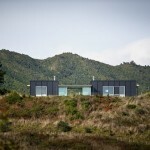 The main path through the collection of “huts” terminates in a pool. 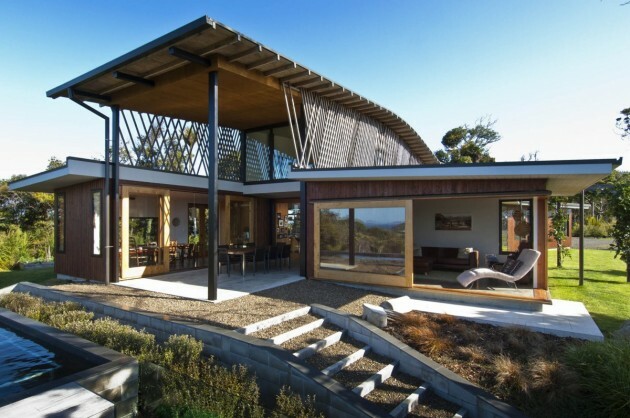 Passive solar, sustainable sourced materials, thermal mass, on site wastewater disposal and water collection tanks are part of the sustainable design principles used.